This product contains benzoyl peroxide as the active ingredient. This compound has antimicrobial and sebostatic (regulatory fat) activity, and is able to stop the growth of Propionibacterium acne, acne causative organism. Peroxiben is indicated for symptomatic local treatment of moderate acne vulgaris in adults and adolescents from 12 years old. Check with your doctor before using Peroxiben if you are allergic (hypersensitive) to benzoyl peroxide or to any of the other dePeroxiben components. · This medicine may cause skin irritation and some redness. During the first application you'll probably notice mild burning, and some redness and peeling skin. During the first weeks of treatment, peeling suddenly it increases in most patients. Normally it decreases in one or two days if treatment is interrupted temporarily. To prevent this effect it is recommended to start treatment in a small area, extending to the affected area a few days. In case of slight irritation, should be spaced applications. If irritation persists or is severe, stop using Peroxiben and carefully clean the skin with soap and water. If irritation persists after stopping treatment, consult your doctor. · Do not use damaged or eczematous Peroxiben on skin or cuts or abrasions on the possible risk of absorption. Avoid contact with eyes, lips, mouth, nostrils, mucous membranes or sensitive areas of the neck. If accidental contact occurs, immediately wash.
· The use of Peroxiben can produce discoloration and certain hair dyed or colored fabric. Do not use Peroxiben with other medicines or cosmetics with desquamative, irritant and drying effects. Peroxiben under medical supervision can be combined with other substances indicated for the treatment of seborrhea and acne. Peroxiben should only be administered to pregnant women when an evaluation of the physician determines that the benefit outweighs the potential risk, because it has not been established safety benzoyl peroxide. It is unknown whether Peroxiben is excreted in breast milk, so it should be administered cautiously to breastfeeding women and should not be applied to the chest to prevent transfer to the infant. There is no indication that Peroxiben may affect ability to drive or operate machinery. After washing with soap and water, apply on it, with the fingertips, a small amount of Peroxiben once or twice a day, depending on the intensity of the process and skin tolerance. Peroxiben 25 mg / g gel. You can generally observed improvement after 4-6 weeks of treatment. However, you could specify a longer use. Peroxiben not use in children under 12 years old without medical supervision. If you have used more Peroxiben than you should, immediately consult your doctor or pharmacist. If Peroxiben have used more than you should, the skin can become red and painful too. In that case it must be applied more spaced manner until this phase has passed. If irritation persists you should consult a doctor. Accidental ingestion should not induce vomiting, wash your mouth and seek medical assistance immediately. 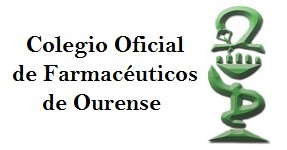 In case of overdose or accidental ingestion, consult the Toxicology Information Service: Phone: +34 915 620 420. If you miss a dose, apply the following as soon as possible and continue administration as hitherto. Do not take a double dose to make up for missed doses. Like all medicines, Peroxiben can cause side effects, although not everybody gets them. It is very common (in more than 1 in 10 patients) the patient feel a slight burning sensation with the first application and appear within a few days, a moderate redness, dryness and skin peeling. During the first weeks of treatment a sudden increase in peeling, redness, itching and pruritus (itching) in most patients may occur; this is not harmful and usually goes away in a day or two if treatment is temporarily interrupted. In rare cases (affects 1 to 10 in 10,000 patients) can be observed allergic dermatitis. Keep out of reach and sight of children. Store below 30 ° C.
Peroxiben Do not use after the expiry date stated on the label after the abbreviation "CAD". The expiry date is the last day of that month. The active ingredient is benzoyl peroxide. Each gram of gel contains 50 mg of benzoyl peroxide. Peroxiben occurs as a white gel in a polyethylene tube with a polypropylene cap.